Gene Magidenko is an associate in Dykema's Ann Arbor office. His practice focuses on estate planning and advising clients on transactional tax matters, tax controversies, and tax compliance. 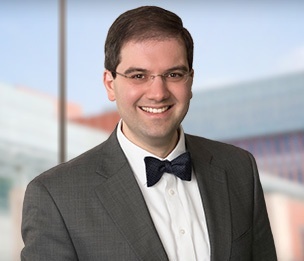 Before joining the firm, Mr. Magidenko clerked for the Honorable David Laro at the U.S. Tax Court in Washington, D.C., with whom he also co-taught for two semesters the Business Planning Seminar at the Georgetown University Law Center. Prior to his Federal government service, Mr. Magidenko worked as an associate at a Washington, D.C., law firm, where he advised companies on tax planning, international tax compliance, and tax aspects of domestic and cross-border transactions.